Holistic fracking, oil and gas well stimulation using a fracking gel made from ingredients available at your local grocery story, is already here. A couple of decades ago, the term “holistic” became very trendy. We heard a lot about things such as “holistic medicine” and “whole farming,” both of which emphasized treating the whole rather than the parts. It seems somewhat less in vogue today, now doubt due to overuse, but the idea, which certainly has some validity, persists. We’re now seeing something similar, in fact, with hydraulic fracturing. The mechanism for delivering proppants to keep rock fractures open to flow gas is becoming ever more benign, more holistic. Holistic fracking is here. One common misconception of current frac fluids used in shale is that they contain hundreds of chemicals. While this was maybe true for exotic frac fluids used decades ago on an occasional high-pressure high-temperature job, the economics of the Shale Revolution have dramatically simplified frac fluids. WARNING! All the above frac fluid components are designed for either human indigestion or application into the human eye. Please read product labels for proper use. In the photo [below], our Lab Manager Joel Siegel demonstrates an early crosslink of this fluid system. He has just dissolved some guar gum powder in water. Guar gum is powder from the grinded endosperm of a guar seed, and consists of ultra-long organic molecules. These long molecules are ideal as a healthy thickening agent in food like yoghurt or products like toothpaste. Joel then added some Milk of Magnesia (used to help an “upset tummy”) to get to a slightly alkaline pH level. He then added a few drops of Visine Eyedrops, which contains Boron as a preservative. Boron doubles up as a crosslinker, tying together the long guar molecules to thicken the fluid system even more than before. Joel mixes this in a blender for about 30 seconds, and you can see in the photo [below] how the crosslinked gel is becoming thicker. You can continue to mix and develop more viscosity by pouring the fluid from one cup into another while the fluid develops the characteristic fluid “lip” showing the proper fluid potential as a carrier system for proppant. The idea of food-grade hydraulic fracturing fluids isn’t new, of course. Halliburton, for example, has been pioneering the way on this for some time with its CleanStim product. Fracs are also being done CO2, propane and natural gas itself. CO2 and natural fracs are especially holistic, of course, but it’s hard to argue using a fracturing gel made of stuff intended for our own bodies isn’t also holistic fracking. The big question, of course, is what the increasingly green nature of fracking will mean for fractivism. It will ignored by fractivists, of course, because the entire premise of their opposition to fracking is the supposed secret concoction of dangerous chemicals involved, which is utter nonsense on several levels. More than that, fractivism, is a philosophy of opposition to oil and gas development, which its adherents suppose is the foundation of a western civilization they despise. That’s why fractivists refuse to accept facts and why they’re losing everywhere but in places such as New York where madness is thought to be a virtue. This article is a little reminder that sanity still prevails elsewhere. New Mexico State Land Commissioner Aubrey Dunn walks along Ranch Rd 652 at the Texas-New Mexico border on May 23 next to a water line that runs from Loving County, Texas, to Lea County, N.M.
ORLA, Texas — After you head northeast on Ranch Road 652 from tiny Orla, it’s easy to miss the precise moment you leave Texas and cross into New Mexico. The sign just says “Lea County Line,” and with 254 counties in Texas, you’d be forgiven for not knowing there isn’t one named Lea. But the folks who are selling water over it know exactly where the line is. That’s because on the Texas side, where the “rule of capture” rules groundwater policy, people basically can pump water from beneath their land to their heart’s content. But on the New Mexico side, the state has imposed tight regulations on both surface and groundwater that restrict supply. This article originally appeared in The Texas Tribune, a nonpartisan, nonprofit media organization that informs Texans and engages with them about public policy, politics, government and statewide issues. Here’s the rub — or the opportunity, depending on your perspective: With an oil fracking boom driving demand for freshwater on both sides of the state line in these parts, Texas landowners are helping to fill the void with water from the Lone Star State — including from at least one county in which Gov. Greg Abbott has declared a drought. Now a top New Mexico politician is crying foul, saying that unregulated pumping from wells next to the state line is depleting the shared aquifers that supply water to Southern New Mexico. The difference in ownership of land in the two states contributes to the divergent water policies. In Texas, more than 90 percent of the land is privately owned. In New Mexico, by contrast, only 43 percent is owned by individuals, while 57 percent is in government or tribal hands. For context, a look at the area in question. Dunn says he has already found at least seven unpermitted water lines snaking from Texas across state trust lands he oversees, and he believes millions of gallons a day are being pumped into his state for use in oil and gas exploration. The commissioner, who oversees 9 million surface acres of state trust lands, said he has quit issuing new fresh water well permits for the oil and gas industry on agency-supervised property, but he can’t stop the pumping in Texas. And experts say there is no law barring unlimited sales of Texas water to New Mexico buyers — making the transfers hard to quantify. It’s a bipartisan sentiment. State Rep. Poncho Nevárez, the Eagle Pass Democrat who represents the far-flung outpost of Pecos in neighboring Reeves County, said he’s not so worried where the water goes as long as there’s enough to go around for residents and the towns they live in. When it comes to ensuring future supplies for the locals in Texas, lawmakers note that communities can always band together and form groundwater conservation districts, which issue pumping permits to protect aquifer levels. But here in Loving County, which is part of both Nevarez’ and Seliger’s sprawling districts and sits adjacent to Lea County, New Mexico, there is no water conservation district, according to maps published by the Texas Water Development Board. (Abbott recently put Loving County on the list of counties seeking federal drought assistance). Texas rancher Roy “Sonny” Lindsay owns Loving County property that sits along the state border near Ranch Road 652, and he’s seen plenty of water heading north to New Mexico — where locally sourced water is harder to obtain. He recently sold some of it himself to ConocoPhillips from a giant frac pit — used to store water in the drilling process — the company built on his land. The company then pumped the water through hoses running into New Mexico, he said. In an emailed statement, ConocoPhillips spokeswoman Romelia Hinojosa cited the supply problems in New Mexico and said water from Lindsay’s Hanging H Ranch was used to complete five wells in New Mexico in early 2017. “At the time, we could not source water from New Mexico because other operators had captured the full capacity of the water available from sources (third party water vendors) in New Mexico,” Hinojosa said. She didn’t know the “exact volume” of water sent over the state line but said it was less than 5 percent of the water it used in the Permian Basin in 2017. 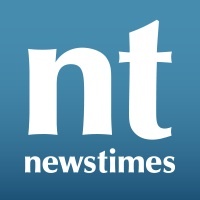 “At this time, ConocoPhillips is not using Texas water in New Mexico,” Hinojosa added. Lindsay said ConocoPhillips isn’t the only company that has piped water into New Mexico over his land. He said he recently discovered a water line from Texas Pacific Land Trust, a highly profitable company whose water sales have exploded in recent years, going over his land into New Mexico. He found another line lying alongside Ranch Road 652 whose owner could not be determined. Nor was it clear who owned several hard plastic lines — or what they were being used for — stretching across the state border near a wastewater facility not far from the Lea County Line sign. Phone and email messages left for Texas Pacific Land Trust, a 130-year-old company that owns almost 900,000 acres of land in 18 Texas counties, were not returned this week. Meanwhile, a Houston-based water supply company, Solaris Water Midstream, announced Tuesday that it is building a pipeline that will soon deliver millions of gallons of water per day from parched West Texas to New Mexico to help alleviate what the CEO described as “limited sources of water” constraining fracking operations in the region. The heavy cross-state water sales come amid an unprecedented fracking boom in the northwestern Texas counties near the New Mexico border. Fracking, short for hydraulic fracturing, uses enormous quantities of water, which drillers pressurize and shoot deep below the surface to help separate shale oil from porous rocks. In remote west Texas counties like Loving and Reeves, water lines zigzag between frac pits — above-ground pools lined with plastic — that dot the horizon. The drilling frenzy has filled hotels, torn up roads and boosted oil company profits all over the Permian Basin. But oil isn’t the only liquid landowners are turning into quick cash. Suddenly, ranchers who once coaxed cotton out of the desert are finding their water is more valuable than the crops they once irrigated with it. “There’s a lot of individuals that have sold a million dollars’ worth of water,” said Paul Weatherby, former general manager of the Middle Pecos Groundwater Conservation District. He said he’s not bothered that some of it is being sold in New Mexico. Still, water and how it’s used can be a touchy subject around here. In the early 1950s, a crown jewel of Fort Stockton — Comanche Springs — dried up amid heavy pumping by farmers, most famously Clayton Williams Sr. An ensuing court battle reaffirmed the landmark 1904 decision upholding the “rule of capture” — giving landowners broad control over the water under their property — and Comanche Springs never recovered. Williams’ son, Clayton Williams Jr., who lost the 1990 governor’s race to Ann Richards, later rattled Fort Stockton with a plan to pump his water from the rural area to thirsty cities like Midland and Odessa. The battle dragged on for years, culminating in a 2017 settlement that allows for limited water exports. Tangling over water with New Mexico isn’t new, either — particularly when it comes to the Rio Grande and Pecos Rivers. A battle over distribution of water from the Rio Grande recently went to the U.S. Supreme Court, where Texas claimed a preliminary victory in March in an ongoing water war. In this new water-war battlefront, the New Mexico land commissioner argues that the rule of capture should not allow one state to negatively impact another’s aquifer. Dunn also is trying to determine if the landowners and companies selling water in New Mexico are paying taxes on it as required. Robert McEntyre, spokesman for the New Mexico Oil & Gas Association, said his members believe in robust compliance with all regulations and tax laws. Dunn says he worries about the long-term impact of pumping so much groundwater for use in oil and gas extraction. That pumping lowers the amount of water that feeds rivers and streams, he said. Midland veterinarian Michael McCulloch, who owns land in both Texas and New Mexico and advocates for water conservation, said it’s the disharmony in interstate water law that’s helping to deplete the land’s most precious resource. Rolling Stone just dropped a bombshell — or so it claims in its article, The Harms of Fracking’: New Report Details Increased Risks of Asthma, Birth Defects and Cancer. Dig into the details, though, and it becomes clear that the study is not scientific. There remains no proof that fracking is dangerous. Fracking is a drilling technique used to access energy reserves that are trapped deep underground in shale rock deposits. Developers drill into the shale formations and inject a mixture of water and sand at very high pressures. This infusion of liquid breaks up the rock deposits to free oil and natural gas for extraction. This process typically takes three to five days. Once a well is fracked, it can produce fuel for years. But the vast majority of studies used in this report examine fracking-related emissions out of context. They don’t look at how often, how long, or how much humans were actually exposed to these emissions. And their report has not been subject to rigorous scientific review. It’s easy to see why. The preponderance of existing evidence directly contradicts the hysterical claims. The new “study” only reconfirms the adage: garbage in, garbage out. The gold-standard fracking assessment comes from the Colorado Department of Public Health and Environment, which evaluated some 10,000 air samples from fracking sites and found that the emissions levels were “safe.” Department officials reported that there is “no substantial or moderate evidence for any health effects” caused by fracking. That’s no surprise. Fracking fluid is 99 percent water and sand. Small amounts of chemicals are added to preserve the drilling equipment. Ironically, activists’ obsession with discrediting fracking blinds them to the well-established truth that fracking is an ecological and environmental godsend. Fracking has enabled an unprecedented boom in American natural gas production. Natural gas isn’t just cheaper than coal; it also burns much cleaner. It’s no wonder that as power plants have switched from coal to natural gas, air quality has improved. Air pollutants, as well as carbon dioxide emissions, have dropped. And a recent increase in natural gas exports has done wonders for energy market competition. Activists ought to be celebrating a new era of energy plenty and reliability. Instead, they remain determined to smear fracking with shoddy science. It’s almost as if they have a hidden agenda — one that has nothing to do with what’s good for people and the planet. Greeley, CO -- Today, environmental and public health advocates filed a motion for a temporary restraining order to halt construction on a dangerous hydraulic fracturing (fracking) project within feet of Bella Romero Academy in Greeley, Colorado. The project was originally planned for a location near a different school in a predominantly white, middle-class community, but after a public outcry it was relocated to a site less than 1,000 feet from the Bella Romero campus in a low-income, predominantly Latino community. The court heard a challenge to the project in December, but has still not issued a ruling. In the meantime, drilling activity has commenced, subjecting Bella Romero students and their families to increased air pollution and other effects of fracking. The motion, filed in the Denver County District Court on behalf of Weld Air & Water, Sierra Club, NAACP Colorado State Conference, and Wall of Women by the University of Denver Law Clinic, urges the court to halt drilling activity until a ruling on the merits of the case is issued. The Sierra Club is America’s largest and most influential grassroots environmental organization, with more than 3 million members and supporters. In addition to helping people from all backgrounds explore nature and our outdoor heritage, the Sierra Club works to promote clean energy, safeguard the health of our communities, protect wildlife, and preserve our remaining wild places through grassroots activism, public education, lobbying, and legal action. For more information, visit . DrillOrDrop review of parliamentary questions and debates. The Environment Minister, David Rutley, was questioned in parliament this week about consulting the public on fracking. David Rutley (right) replied that people can comment on environmental permit at two stages and during the progress of an application through the planning system. He also said the Written Ministerial Statement issued on 17 May 2018 by the Energy and Local Government Secretaries were considering making pre-application consultation a statutory requirement. The WMS proposed to classify non-fracking shale gas developments as permitted development, without the need for a planning application, and fracking proposals to be decided by a government-appointed inspector, rather than a local authority. DrillOrDrop report. In a written question, the DUP’s Sammy Wilson (right), asked what the government was doing to reduce the time taken to process shale gas planning applications. The Local Government Minister, Dominic Raab referred to the WMS which, he said, “announced a range of planning measures to facilitate timely decisions on shale planning applications”. The WMS also proposed a single shale gas regulator. But the Environment Secretary, Michael Gove (left), confirmed there would be no change to the powers of the Environment Agency on fracking. Who did the government consult over fracking plans? Labour MPs Helen Jones (Warrington North), pictured left, and Louise Haigh (Sheffield Heeley), asked about which organisations had the government consulted or received representations on the WMS. “We engaged with stakeholders as part of our ongoing stakeholder engagement. Louise Haigh also asked what assessment had been done on the potential link between fracking and the manufacture of non-biodegradable plastics. Just before the recess, the Secretary of State for Business, Energy and Industrial Strategy and the Secretary of State for Housing, Communities and Local Government made an announcement about proposals for a consultation to create a single shale gas regulator. Can the Secretary of State assure the House that there will be absolutely no change to the powers of the Environment Agency to protect our environment on fracking sites? Yes, I can. The Environment Agency has been very clear about the vital role that it plays in providing assurance that environmental safeguards are always in place when hydraulic fracturing or other forms of hydrocarbon extraction take place. Many voters, in good faith, believed the Conservatives when they said they were their saviours from the third runway that our party promised under the Brown Government, long before my time in this place. I think voters will start wondering, “Does this mean that they’re casting it all off? Were these some sort of short-lived green halcyon days, when it was time to hug a husky?” We have since seen the Conservatives embrace nuclear power at Hinkley Point, fracking, and now this. I think people will wonder. David Cameron—remember him?—said something about cutting the green stuff. Well, he actually used a word that I do not think is parliamentary, Mr Hanson. Perhaps you can guess what it is—it rhymes with “nap” and begins with the letters c and r. I will not say any more than that, but people will wonder. What plans his Department has to limit the environmental effect of fracking. DEFRA and the Environment Agency take the environmental risks associated with oil and gas exploration very seriously. We have a robust regulatory regime, drawn from global best practice and more than 50 years’ experience of regulating the onshore oil and gas industry safely in this country. The Environment Agency will issue a permit only if it is satisfied that any risks to people and the environment can be effectively managed. 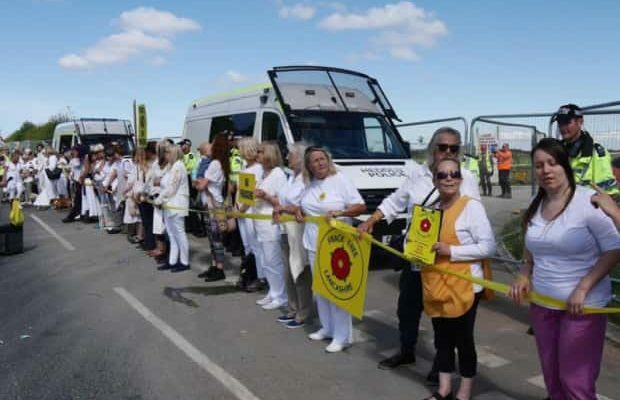 Given that lots of people are concerned in certain areas where fracking can happen, what is the Minister doing to hold meaningful discussions and involve them in the decision making, so that they feel that their voice has been heard? As always, the hon. Gentleman asks an insightful question. Our regulatory regime currently lets local residents have their say on two stages in the environmental permitting process: when the application is received by the Environment Agency; and at the draft decision stage, before the permit is finalised. A public consultation takes place once the planning application has been permitted. On 17 May, the Secretary of State for Business, Energy and Industrial Strategy and the Secretary of State for Housing, Communities and Local Government set out that they would be strengthening community engagement further by consulting in due course on the potential to make pre-application consultation a statutory requirement. Why does the Minister not make a statement on behalf of the Government to stop fracking altogether? The Government believe, rightly, that shale gas plays an important part in our energy mix and will be an important bridging fuel in the transition to renewable technologies. To ask the Secretary of State for Housing, Communities and Local Government, what steps his Department is taking to reduce the time taken to process planning applications for shale gas extraction. I refer the Rt Hon Member to the Written Ministerial Statement on planning policy made by the Secretary of State on 17 May (HCWS689), which announced a range of planning measures to facilitate timely decisions on shale planning applications. To ask the Secretary of State for Housing, Communities and Local Government, what the average time taken to process a shale gas exploration application was in each of the last three years. 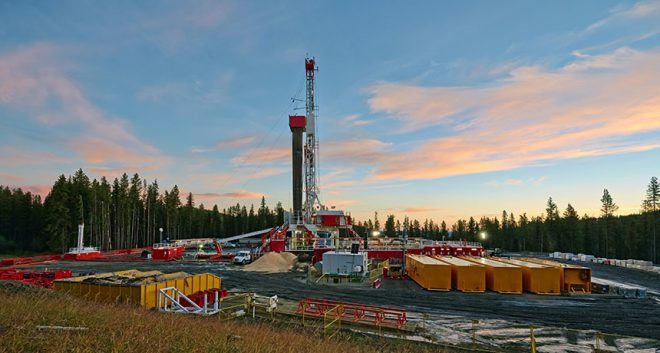 Mineral Planning Authority decisions to grant or refuse planning permission for shale gas exploration proposals in England over the last three years have taken between 17 and 83 weeks, from the date of validation of that application to the date the decision was issued. We cannot presently meet our own heat and power requirements. I would obviously argue with the Government that we could if they really supported renewables, actually did something about energy efficiency, invested in renewable heat and supported innovation to scale. The noble Lord, Lord Rooker, certainly made clear his view of the Government’s response and, having read it, I was pretty much in agreement with his view. It is apparent from that response that the Government are relying to an extent on shale gas to answer their prayers. I can see the attraction of having the problem of the energy gap filled by private money coming in. It leaves the Government only to break all their promises and remove planning protections for local people, as if shale is some sort of economic miracle that will rescue us from the gas gap. The Government look to the American experience to be replicated. Outside the recent report showing the new scientific evidence on the danger of fracking in ex-mining areas, I point out to the Government that our geology and geography is very different from America’s. Even if it were feasible to produce shale gas at scale, the economic miracle is fading. Asset life is critical, and the outlook is poor. In the USA, shareholders are now experiencing the reality rather than the promise of shale. 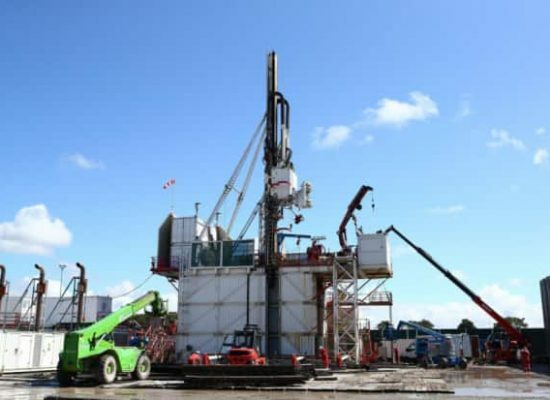 A company such as Cuadrilla, which is looking for shale in Lancashire right now, has seen its shares fall to a quarter of what they were worth in 2009. That bubble is bursting. Shale is proving difficult in this country. The Government’s answer to the challenge of giving local people their right to protest is to change these applications to permitted development, and that from a Government who promised local people the final say. The shale bandwagon has passed. This is not the time to climb on it. This is the time to say yes to tidal lagoons, to invest in renewables and to take innovation to scale. I do not think that the noble Baroness, Lady Featherstone, would expect me to end without saying just a little about shale gas and the opportunities it gives us. As stated in the government response, the UK Government are committed to ensuring we have secure energy supplies that are reliable, affordable and clean. As part of this, shale gas has the potential to be a home-grown energy source which can lead to jobs and economic growth, contribute to our security of supply, and help us to achieve our climate change objectives. The Government are clear that shale development in the UK must be safe and environmentally sound, and we have a strong regulatory system in place. To ask the Secretary of State for Business, Energy and Industrial Strategy, with reference to the Written Ministerial Statement of 17 May 2018 on Energy Policy, HCWS690, what representations he received from (a) individuals and (b) businesses in Warrington on fracking; and whether any applications for exploratory fracking in Warrington were received prior to that statement. The Department routinely receives large volumes of correspondence from a wide range of organisations and individuals regarding shale gas exploration and production. We have not received any representations from either individuals or business in Warrington relating to the Written Ministerial Statement of 17 May. The Oil and Gas Authority have received no applications to conduct hydraulic fracturing activities for either exploration or development in Warrington prior to (or since) the Written Ministerial Statement of 17 May. To ask the Secretary of State for Business, Energy and Industrial Strategy, with reference to the Written Ministerial Statement of 17 May 2018, HCWS 690 on Energy Policy, which organisations were consulted prior to that statement being made. The Department worked closely with relevant government departments in developing the Written Ministerial Statement, which advanced the commitments from the Government’s 2017 manifesto to support the development of shale gas extraction. So we are setting out a series of actions, including those committed to in the Government’s 2017 manifesto to support the development of shale gas extraction. We engaged with stakeholders as part of our ongoing stakeholder engagement. The statement announced forthcoming consultations on areas of the policy. We did not consult on the statement in advance. To ask the Secretary of State for Business, Energy and Industrial Strategy, what assessment he has made of the potential link between fracking and the manufacturing of non-degradable plastics. No such assessment has been made. Natural gas produced from shale rock is indistinguishable from that produced from other hydrocarbon reservoirs. One of the most heated issues in the Colorado gubernatorial race is the future of hydraulic fracturing, better known as fracking. Fracking is a process by which natural gas or oil is extracted from deep under the Earth’s crust, cracking through layers of rock by injecting it with a water and chemical solution or sand. Fracking is highly controversial due to the risks associated with it, which include groundwater contamination and seismic activity. Environmentalists want a full ban on the practice, but at minimum, they want to empower local communities to shut fracking down themselves. The industry opposes both — fully aware that many of the state’s progressive enclaves would come down hard against fracking if empowered to govern the practice. At a campaign stop at Colorado College in November 2017, former state Treasurer Cary Kennedy, a leading candidate in the race for governor, told students that while she did not agree with a statewide fracking ban, she did support giving cities and localities greater regulatory control over the controversial practice. “I believe there are places in our state that are just too special to drill,” she said. In the months leading up to Kennedy’s college appearance, the debate surrounding the issue had become increasingly fraught, thanks to a series of deadly explosions between April and May 2017 that drew national attention and galvanized local opposition. The explosions, which left three dead and three injured, were caused by poorly maintained wells owned by Anadarko Petroleum Corporation. The first blast occurred in Firestone, Colorado, after two men working in the basement of their home ignited gas which, unbeknownst to them, had been leaking into the house from a nearby abandoned well via an unsealed flow line. The news sparked investigations and fierce backlash against the company, prompting a shareholder lawsuit and the voluntary shutdown of 3,000 wells. Although Kennedy’s position wouldn’t satisfy those calling for an all-out ban, empowering localities to take action put her on the more progressive end of the conversation. But in a surprise announcement at an April 11 candidates’ forum, she told the audience that she did not support allowing localities to ban fracking outright, nor did she favor mandatory state “setbacks” requiring wells to be a certain distance away from homes and businesses. 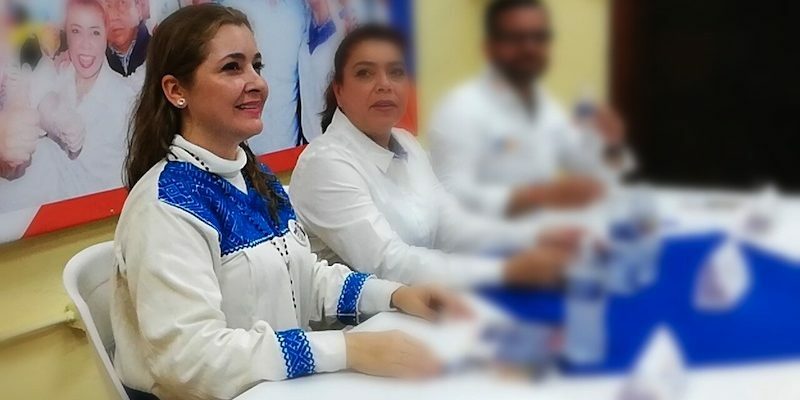 A few weeks later, Kennedy’s explicit rejection of an all-out ban would take on a different tenor when, on May 1, she earned the coveted endorsement of Salazar. Salazar has a history of supporting fossil fuel interests going back to his Senate vote for George W. Bush’s infamous 2005 energy bill, which exempts fracking from the Underground Injection Control provisions of the Safe Drinking Water Act. As interior secretary, Salazar openedthe Arctic for drilling and helped to implement a plan to move wild horses out of Colorado to free up land for oil and gas extraction. Upon returning to the private sector, he vocally advocated for the Keystone XL pipeline and against restrictions on fracking. He’s been a particularly good friend to Anadarko. As a report by the International Business Times and MapLight noted, in 2010, “Salazar’s department waived environmental rules for an Anadarko offshore drilling project after the Deepwater Horizon spill even though Anadarko partially owned the well involved in that disaster.” In 2012, it approved a plan to allow the company to “develop as many as 3,600 new gas wells in eastern Utah.” This deal was celebrated as a “victory for the economy, U.S. government, and environmental groups,” the report explains, adding that “both the Bureau of Land Management and the Utah Department of Environmental Air Quality have raised concerns about air pollution from wells in the region.” Salazar is even quoted multiple times in Anadarko’s promotional materials. Oil and gas extraction was Colorado’s largest industry in July 2017, but fracking has long been controversial in the state — particularly among Democrats. Gov. John Hickenlooper, for example, has faced frequent criticism from the left for his fossil fuel ties, and in the 2016 Colorado primary, Sen. Bernie Sanders, I-Vt., a vocal supporter of a federal fracking ban, scored a 20-point victory over former Secretary of State Hillary Clinton, who refused to commit to such a policy. Sanders’s support of the ban was a significant advantage in the primary. The fight Polis probably is best known for … is his 2014 battle against hydraulic fracturing — or fracking — a process in which energy companies pump water, sand and chemicals into the ground to extract oil and gas. That year, Polis led an effort to put two initiatives on the ballot that would have imposed new restrictions on fracking, including a larger buffer between homes and rigs. The campaign had support of many environmentalists, but it terrified a number of establishment Democrats — in large part because it was seen as potentially damaging to the re-election campaigns of Hickenlooper and then-U.S. Sen. Mark Udall. The worry was that oil and gas companies would spend big to defeat Polis’ fracking measures and — as a result — more conservative voters would turn out and drag down the Democratic incumbents. Woods went on to confirm that despite the central role that oil and gas play in the Colorado economy, the two have “never spoken about issues related to the oil and gas industry,” in the context of Salazar’s endorsement or otherwise. Salazar’s intervention in the Colorado gubernatorial race is being repeated in Democratic congressional primaries and local races around the state. Again and again, the party kingmaker is siding with candidates who are friendly to the oil and gas industry. At the federal level, he’s gotten behind several congressional candidates in primaries against strident fracking opponents. For example, in the congressional race for Colorado’s 2nd District, Salazar is backing Hickenlooper administration alum Joe Neguse against progressive Mark Williams, a 54-year-old Air Force veteran who vocally opposes fracking. Neguse, who secured Salazar’s endorsement when he ran for secretary of state, has also received major support from Brownstein Hyatt Farber Schreck LLP, a law firm which boasts that its lawyers have scored several victories against localities trying to control fracking. Although his campaign website calls for closing the “Halliburton Loophole,” Williams questioned his opponent’s commitment on the issue. “That’s as far as he goes,” he told The Intercept. Salazar has also backed Jason Crow in the 6th District, running against progressive Levi Tillemann, who has called for a ban on fracking and an end to oil and gas subsidies. Crow experienced a spurt of political celebrity as the candidate that Democratic Whip Steny Hoyer was advocating for in secretly recorded audio published by The Intercept. Crow is an attorney with Holland & Hart LLP, which has represented a number of oil and gas clients, including Anadarko, and has a record of success in defeating environmental groups seeking to challenge the fossil fuel industry. On his campaign website, Crow calls for “consistent safety regulations” on oil and gas companies, closing the “Halliburton Loophole,” and disclosure requirements for the chemicals used in fracking. Crow could not be reached for comment, but his public statements on fracking are markedly more vague and less hostile to oil and gas interests than his opponent’s. Where Weiser has made close alliances with members of the fossil fuel industry, his cousin has made enemies, helping to kill a 2014 Democratic-sponsored bill that would have granted eminent domain to oil pipeline companies. On May 10, 2017, Ken Salazar donated to Robert Rodriguez, a state Senate hopeful running in a primary in District 32 against Democratic incumbent Irene Aguilar. The day before the donation, Aguilar voted against a Republican-sponsored spending that defunded several renewable energy programs and placed bureaucratic roadblocks in the way of environmental regulation. This April, Aguilar co-sponsored legislation requiring mandatory setbacks near schools for oil and gas facilities. Although Salazar has not spent much in the 2018 cycle, he doesn’t need to. His endorsement “opens doors to big money,” explained Joe Salazar. Sexual harassment allegations from 2016 didn’t keep Salazar from donating $200 to Democratic state Rep. Paul Rosenthal of Colorado’s 9th House District, who, as it turns out, had been the deciding vote to kill a measure to give localities more control over fracking. Rosenthal failed to meet the threshold to get onto the ballot this time around. In an email, Rosenthal told The Intercept that “[n]o special interest, no contributor, no industry, no individual has controlled any vote” he’d cast during his six years in office, and that he had, on several occasions, opposed oil and gas. As for his vote against local control, Rosenthal argued that the bill would not have passed the state Senate, was opposed by some local governments, as well as the governor’s office, and that the state Supreme Court was considering the issue at the time. “It was purely a messaging bill from one legislator,” he wrote. With Rosenthal out of the race, Salazar has thrown his support behind his former staffer, Ashley Wheeland, who has taken a more concrete, progressive stance on fracking than his other preferred candidates. Like her progressive opponent Emily Sirota, who is running with the backing of Senator Sanders, Wheeland supports the 2,500-foot setback, as well as giving localities the ability to ban the practice outright. Anadarko, Jason Crow, Joe Neguse, and Robert Rodriguez did not respond to requests for comment. Frank James, WilmerHale’s media strategist, told The Intercept that Ken Salazar would be unable to provide a comment for this story. Top photo: Former Secretary of the Interior and Sen. Ken Salazar, D-Colo., greets members of the audience during a rally for Democratic presidential candidate Hillary Clinton at the Colorado State Fairgrounds in Pueblo, Colo., on Oct. 12, 2016. “At the time, we could not source water from New Mexico because other operators had captured the full capacity of the water available from sources (third party water vendors) in New Mexico,” Hinojosa said. She didn’t know the “exact volume” of water sent over the state line but said it was less than 5 percent of the water the company used in the Permian Basin in 2017. Fashion designer, Dame Vivienne Westwood, and her son, Joe Corre, have accused the Government of hypocrisy over its policies on plastics and fracking. In a protest outside Downing Street on UN World Environment Day, the pair targeted Ineos Upstream, the company with the largest number of UK onshore shale gas licences. Ineos imports ethane from US shale gas for its European plastics business. It has told communities in south Yorkshire it hopes to find ethane in local shale gas. They said despite the Government’s recently announced “war on plastic”, the industrial policy gave plastic production a higher priority than energy. El presidente de Castilla-La Mancha, Emiliano García-Page, ha mostrado este martes su convencimiento de que el nuevo Gobierno de España “pondrá punto y final” al proyecto del cementerio nuclear de Villar de Cañas (Cuenca) porque el sitio elegido “es absurdo y peligroso”. Según sus propias palabras, se trata de una batalla “que tenemos que librar” y en la que –ha garantizado– tendrá “una coherencia absolutamente milimetrada”. Durante el acto de entrega de los II Premios Regionales de Medio Ambiente, que ha tenido lugar en el Teatro Auditorio de Valdepeñas (Ciudad Real), García-Page ha asegurado que el recién estrenado Ejecutivo central “va a asumir la prioridad ambiental por encima de otras, y por encima de lo que han hecho otros gobiernos”. El presidente castellano-manchego se ha mostrado partidario de tratar los residuos nucleares, pero no en el emplazamiento elegido de Villar de Cañas. Asimismo, ha recordado que uno de los grandes compromisos del nuevo Gobierno será poner “punto final” a la vida útil de las centrales nucleares, por lo que será evidente que habrá que gestionar menos residuos. Igualmente, García-Page ha asegurado que su defensa de los intereses de Castilla-La Mancha afectará igualmente al `fracking’, por lo que ha mostrado su deseo de que se retire el recurso planteado contra la Ley aprobada en la comunidad autónoma en torno a este tipo de proyectos, y a la política de agua, un aspecto este último en el que trabajará “para que haya el mayor consenso posible”. En este sentido, y tras reconocer que “no se trata de un asunto sencillo”, ha pedido no confundir conceptos, recordando que “no se trata de solidaridad”, puesto que el agua “no la damos, nos la quitan”, en referencia al trasvase Tajo-Segura. No obstante, se ha mostrado esperanzado en que el componente ambiental y el cauce ecológico de los ríos “vaya pesando cada vez más” en la gestión del agua en España, y ha insistido en la necesidad de que se usen al máximo rendimiento las desalinizadoras, puesto que en estos meses de sequía “el Levante ha bebido y regado de la desalación”, una solución “que está al alcance la mano y que es infinitamente más razonable”. El presidente García-Page ha presidido hoy, junto al consejero de Agricultura, Medio Ambiente y Desarrollo Rural, Francisco Martínez Arroyo; el presidente de la Diputación Provincial de Ciudad Real, José Manuel Caballero; y el alcalde de Valdepeñas, Jesús Martín; los II Premios de Medio Ambiente, cuyo objetivo es reconocer públicamente la labor de personas, instituciones o asociaciones que se signifiquen y destaquen por su compromiso ambiental. 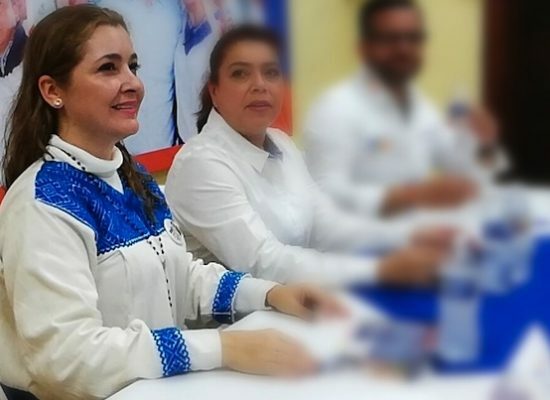 Estos galardones fueron instaurados por el propio García-Page en 2017 y premian la lucha contra el cambio climático, el trabajo en pos del desarrollo sostenible y la implantación de modelos de producción y consumo sostenibles que favorezcan la transición hacia una economía circular e hipocarbónica. 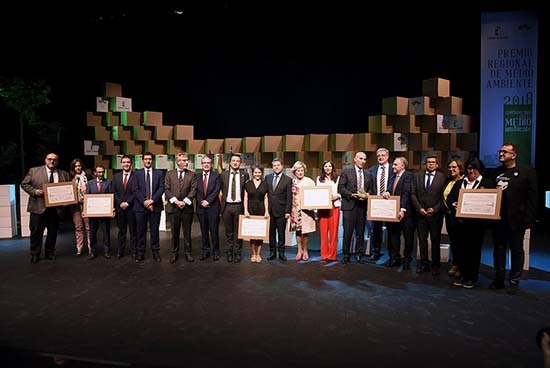 En esta edición se ha entregado un único Premio Regional de Medio Ambiente, que ha recaído en la Fundación ‘Global Nature’ por su compromiso ambiental, y seis menciones especiales. Durante su intervención, el jefe del Ejecutivo autonómico ha agradecido a todos los premiados su labor en la concienciación medioambiental y ha alertado sobre la necesidad de mantener una “solidaridad intergeneracional” en la protección del planeta. Así, ha hecho un llamamiento a las acciones, obligaciones y compromisos individuales, pues la protección medio ambiental “es un signo de madurez política, social y económica de una sociedad que se respeta a sí misma”. Involving the public in fracking decisions – minister quizzed – DRILL OR DROP? Colorado’s Democratic Party Kingmaker Is a Fracking Lawyer. What Could Go Wrong? Picture post: Downing Street protest over fracking and plastics – DRILL OR DROP? Oil and natural gas, as investment opportunities, have certainly had their share of publicity; both good and bad.